The Palm Springs Aerial Tramway, which is the largest rotating tram car on the planet, will take you nearly three miles over the amazing Chino Canyon cliffs to see the impressive San Jacinto Mountain landscape. In ten minutes, you will arrive at Mt. 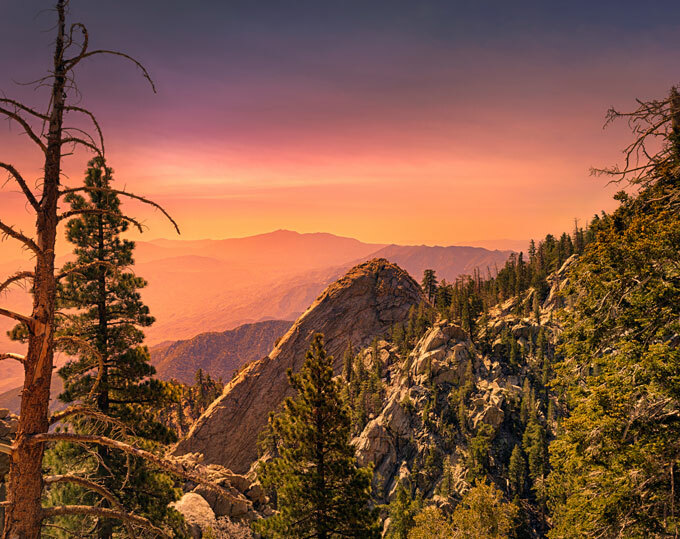 San Jacinto State Park, just slightly more than 8,500 feet above terra firma, where you can take in the views on the observation decks and browse the natural history museum. Dine on fine or casual cuisine, and explore the park via hiking trails nearby. Access the high-rising views of this iconic Palm Springs landmark just 15 minutes from the Movie Colony Hotel. Adults: $25.95. Seniors (65+): $23.95. Children (ages 3-10): $16.95. First tram up 10:00 a.m. on Monday through Friday, and 8:00 a.m. on Saturday, Sunday and Holidays. Last tram up 8:00 p.m., last tram down 9:45 p.m.
Is there a place to eat at Mt. San Jacinto State Park? A A quality culinary experience is yours at Peaks Restaurant. Savor everything from poultry and dry-aged meats to fresh seafood and pasta. Meanwhile, over at the Pines Café, you'll find such classic lunch items as pizza, salads, and sandwiches. For dinner, St. Louis BBQ pork ribs and vegetarian lasagna head the menu. You can also pop into the Lookout Lounge for a cocktail and tasty appetizers. Do I need to buy tickets in advance to ride the tram? A You can either buy tickets when you arrive or purchase them 24 hours in advance on the website (see link below). When you buy online, you'll get a specific time for your tram ride. Credit cards accepted include MasterCard, Visa, Discover, and American Express. If you have trouble printing your tickets, bring your confirmation number with you or download them to your Smartphone.